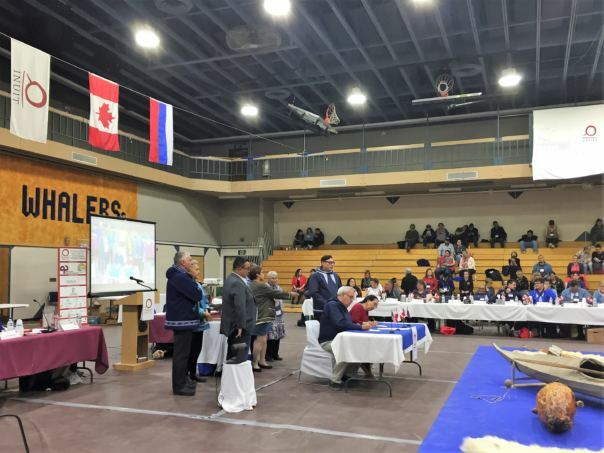 The Inuit Circumpolar Council wrapped up its 2018 General Assembly Thursday in Utqiaġvik. Iñupiat, Yupik and Cup’ik from Alaska and Inuit from Canada, Greenland and Russia got together to discuss a range of common issues and interests across the Circumpolar North. The meeting concluded with the signing of the Utqiaġvik Declaration, which will guide the ICC’s work for the next four years. In the Utiaġvik high school gym, translators were kept busy for four days, working to translate content live into the languages of the listening audience: Iñupiaq, Yupik, Inuktitut, Russian, English and Kalaallisut, the main dialect of Greenlandic. This meeting happens every four years, when the Inuit Circumpolar Council gets together to set priorities for the next term and elect new leadership. On Thursday, Alaska’s own Dalee Sambo Dorough was elected Chair of the ICC, a position she will hold until 2022. Sambo Dorough has been to every ICC General Assembly since the first one was held in Utqiaġvik in 1977. This is her first time elected Chair. “I am deeply humbled by the recognition, and the support, and the confidence that people expressed in me,” Sambo Dorough said. Sambo Dorough is Iñupiaq with family roots in Unalakleet. She’s also a professor of political science at the University of Alaska Anchorage, specializing in international law and Indigenous human rights. In her closing address, Sambo Dorough underscored the importance of Inuit engagement in global decision-making, as more and more countries show interest in the Arctic. On the last day of the meeting, the ICC passed the Utqiaġvik Declaration, a document that outlines some of the ways forward on issues ranging from education and economic development, to wildlife management and food security. 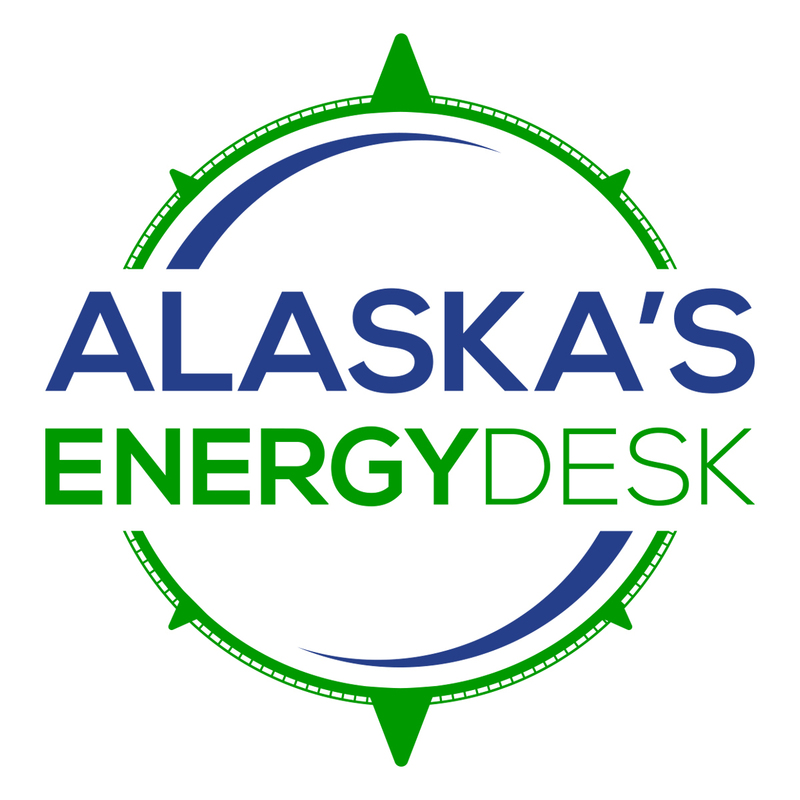 It includes a provision advocating for the phase out of heavy fuel oil, a type of fuel used in shipping that can present unique clean-up challenges, especially in the Arctic. The UN group that regulates international shipping is currently considering banning its use. James Stotts, the President of ICC Alaska and a member of the ICC executive council, says the declaration also deals with a range of social and cultural issues. One thing that stood out to him from this year’s meeting was the frank discussion of suicide, especially suicide among young people. The declaration directs ICC to hold a summit sometime in the next four years on health and well-being that will look at suicide, addiction and general mental health. The next General Assembly meeting will be held in Greenland in 2022.